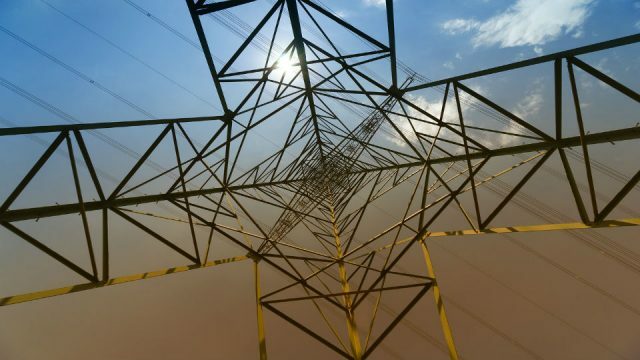 The EU’s great new project of an “Energy Union” will represent “for the first time a holistic approach to how we need to achieve the energy transition,” said the man in charge, Commissioner Maroš Šefčovič, at a press conference in Brussels last week. 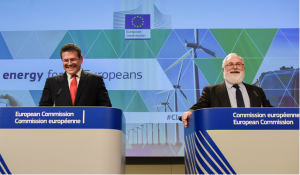 His colleague, Climate and Energy Commissioner Miguel Arias Cañete, at a grand Energy Union in Riga on Friday, revealed a long list of actions to be subsumed under the Energy Union concept, but with no clear priorities. The key question of governance – how the EU is going to implement the Energy Union – was left hanging, reports Sonja van Renssen. The Energy Union was officially kicked off last week, with a press conference on 4 February in Brussels by the Vice President in charge of Energy Union, Maroš Šefčovič, followed by a big Energy Union event in Riga on 6 February, where it was Latvia’s turn, as holder of the rotating EU presidency, to fire off the Energy Union rocket. Everyone was there – both Šefčovič and his fellow climate and energy Commissioner Miguel Arias Cañete, as well as EU energy ministers, academics, industry, NGOs, etcetera. All this is in preparation for 25 February, when the Commission is due to present its Energy Union strategy as well as a list of (legislative and non-legislative) proposals for action on other topics. 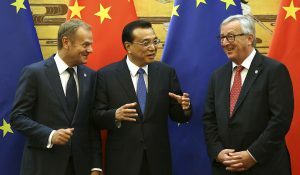 These include the EU’s proposal for UN climate talks in Paris in December and a progress report on a 10% European electricity interconnection target on the same day. To begin with, Cañete made a commitment to revise an outdated 2005 regulation on security of electricity supply. Other new security of supply announcements include plans for a new LNG strategy for Europe, a strategic alliance with Turkey (all the more in the picture with the spectre of “Turkstream”) and a paper on “promoting domestic resources”. The latter came with a special mention of shale gas, although fracking is having a hard time of it lately – Chevron recently became the latest company to announce it would pull out of shale gas in Poland. Further priorities for the Commission include accelerating progress on a Mediterranean gas hub, establishing new strategic partnerships with Algeria and Ukraine and “strengthening” the Energy Community in Southeast Europe. Šefčovič visited Sofia, Bulgaria, for the first session of a high-level group on gas set up after South Stream was cancelled and will travel to Baku, Azerbaijan, on 12 February for a meeting about the Southern Gas Corridor. The Commission also wants better coordination on international energy issues (via a revision of the rules on intergovernmental agreements). Šefčovič at his press conference in Brussels suggested that greater transparency could be a substitute for a common gas purchasing platform. Cañete in Riga said he wants to see the full weight of the law brought down on Member States that have not yet (fully) implemented the third energy market liberalisation package. He promised he would tackle energy poverty (the Commission will do further study into energy subsidies and how prices are set); adopt a more regional approach; and re-assess the powers of EU-level bodies to manage the grid. The Commission will launch a paper on market design this year. Hints of the follow-up to last October’s conclusions on a new climate and energy policy for 2030 – now presumably part of the Energy Union – also came. The Commission will propose a new “renewable energy package” – no indication of timing. What we know already is that once a market stability reserve is agreed for the EU Emission Trading Scheme (ETS), legislative proposals for further reform of that will follow this year still. Cañete singled out for special attention energy efficiency and reducing demand, proposing a revision of relevant laws (eco-design, energy labelling, energy efficiency in buildings, and the 2012 energy efficiency directive), plus a new heating and cooling strategy, the promotion of electro-mobility, and again, that regional approach: smart cities and communities, and a Covenant of Mayors used “to its full potential”. 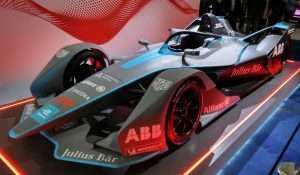 Research and innovation got a mention with a pledge to revive the Strategic Energy Technology (SET) Plan, “make up lost ground” on energy storage, and use the Juncker investment plan to ease access to capital for industries such as solar PV. 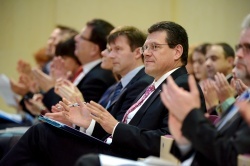 On 4 February, on the back of a visit to Poland, Šefčovič also noted that carbon capture and storage (CCS) and “clean coal” are an important field of research. It is difficult to perceive how CCS could ever measurably affect the progress of climate change before the 2 degree warming threshold had been exceeded. Wide-ranging investigations have already caused this technology to be abandoned in Germany, where about a third of CO2 emissions from stationary sources in the EU would have to be captured. All later proposals seem to have overlooked these findings. With variable coal power generation now becoming necessary to accommodate greater amounts of wind and solar power on the grid, the correspondingly intermittent emissions of carbon dioxide would be even more expensive per tonne to capture and store. 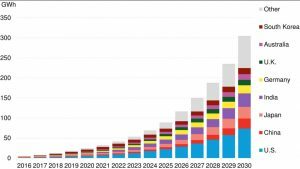 The United States recently cancelled the FutureGen 2.0 project, while CO2 for enhanced oil recovery is seldom in demand due to falling oil prices. 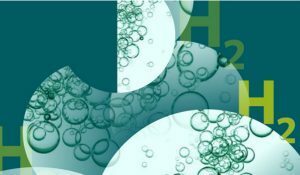 There may still be a place for clean coal technologies in the commercial electricity market, but the scientific community at large has not yet been convened to determine the most effective way of deciding the issue.